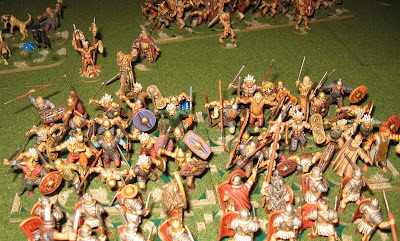 I thought Phalanx was very good. 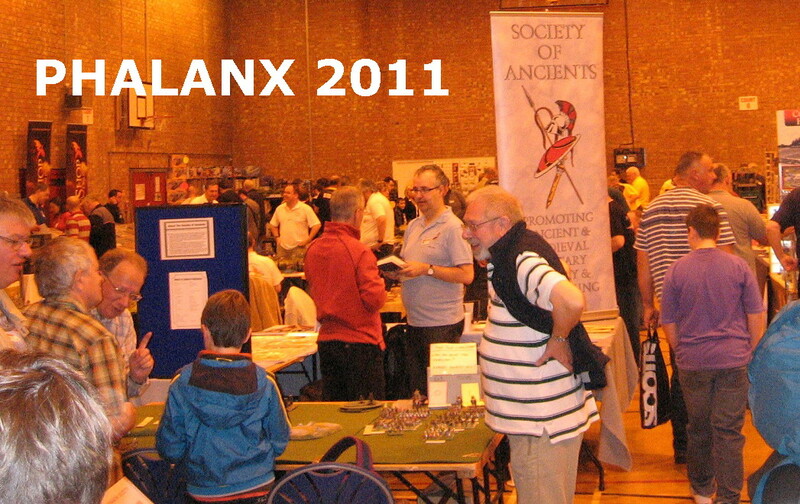 We had been moved from our tradition berth next to the Pike & Shot Society to the other corner alongside the Lance & Longbow ... with Irregular Miniatures, David Lanchester Books and Baccus as neighbours. 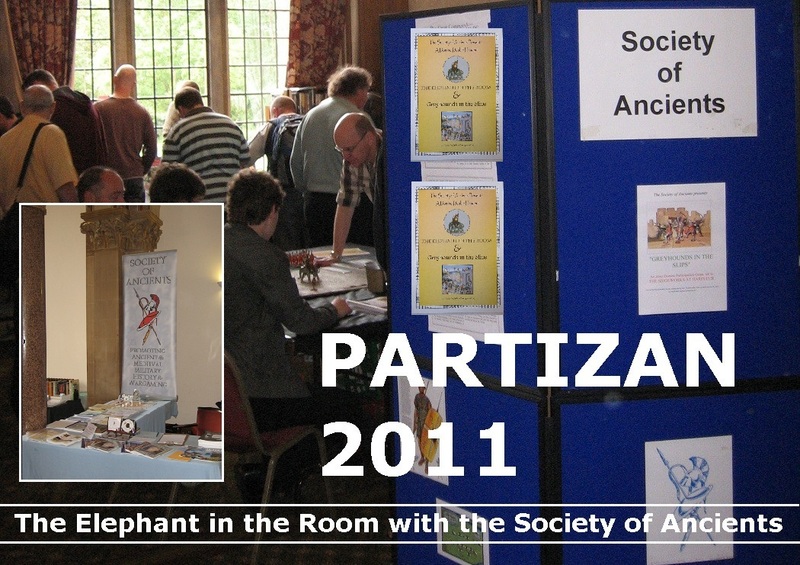 The Lance & Longbow Society (of course, the aforementioned Gentlemen Pensioners, mostly) put on Cerignola, while for the Society of Ancients, Martin Charlesworth was reprising his ever popular 'Dirty DBA' Challenge table. 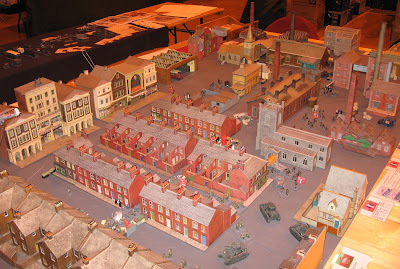 I'm sure numbers must have been up this year, and most of the thoroughfares were crammed for the first half of the show. 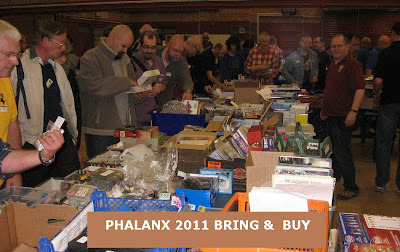 The Bring & Buy was too crowded to get at, all morning, but when I did manage an afternoon visit, I found some bargains and plenty on offer. It was generally wargamers selling 2nd hand, rather than semi-professional (like those expensive Southern Bring & Buys) and, 'yes', those £2 good condition military history books were, indeed, ex-libris the late Paddy Griffith. Nestling between Manchester and the Mersey, we do OK for volunteers here, so everyone on the stand gets a chance to see the show and do some shopping, chat to people and take photos. For what it's worth, I took the role of Wittgenstein, commanding the allies. I was satisfied with my subordinates' efforts and commitments to the cause as ever. 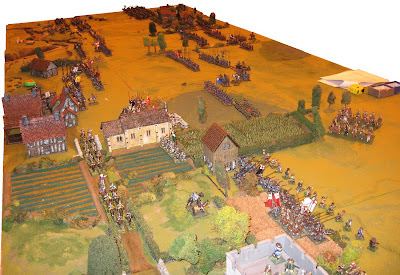 We stopped the French (well, that's what my memoirs will say). 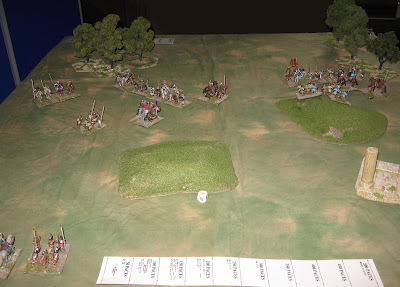 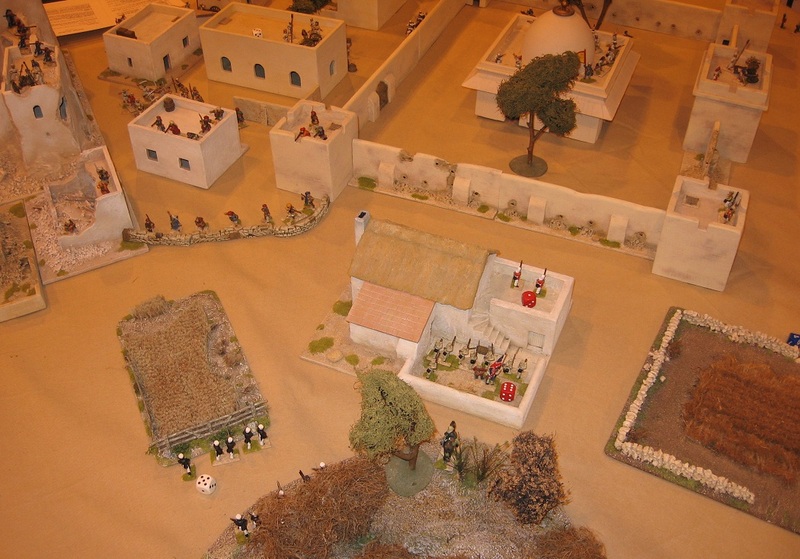 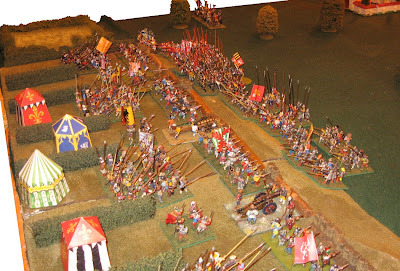 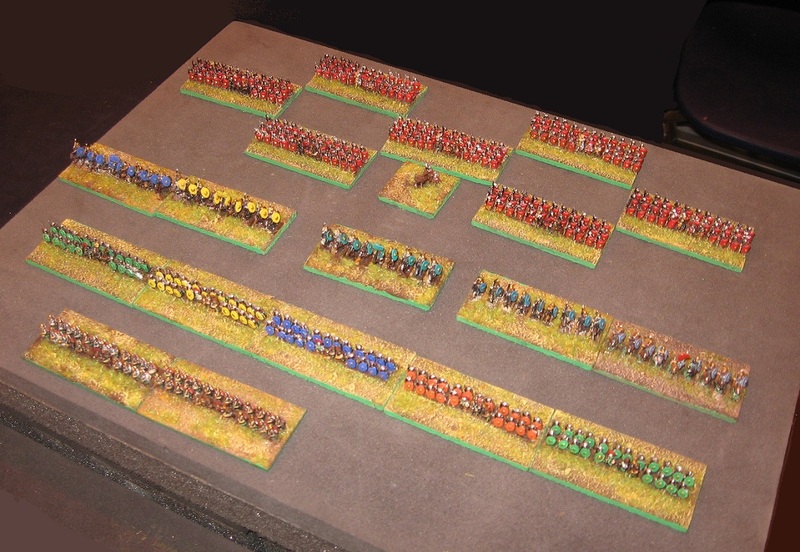 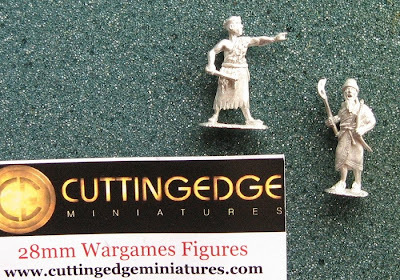 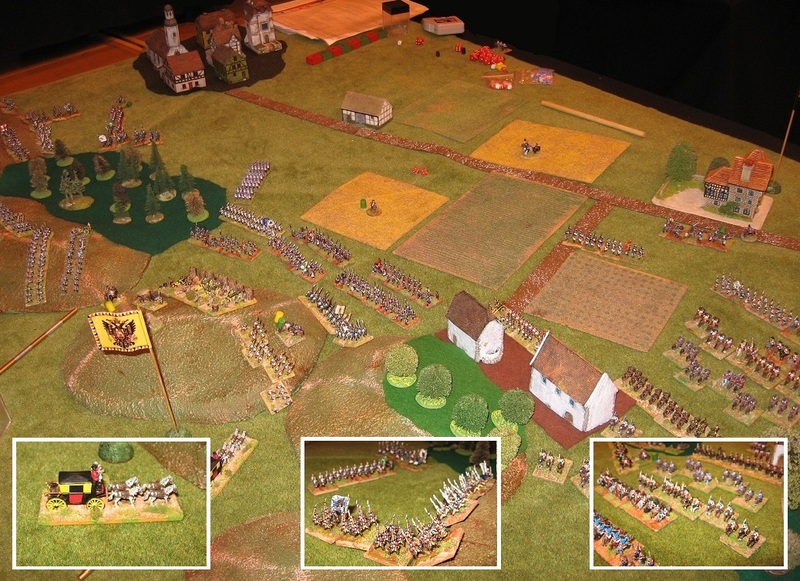 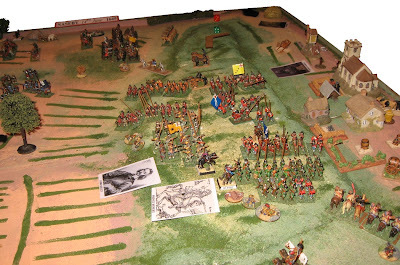 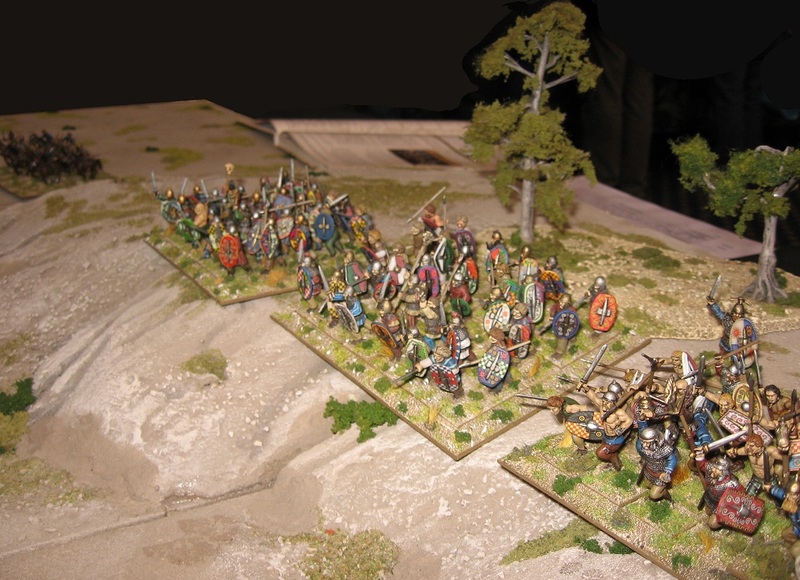 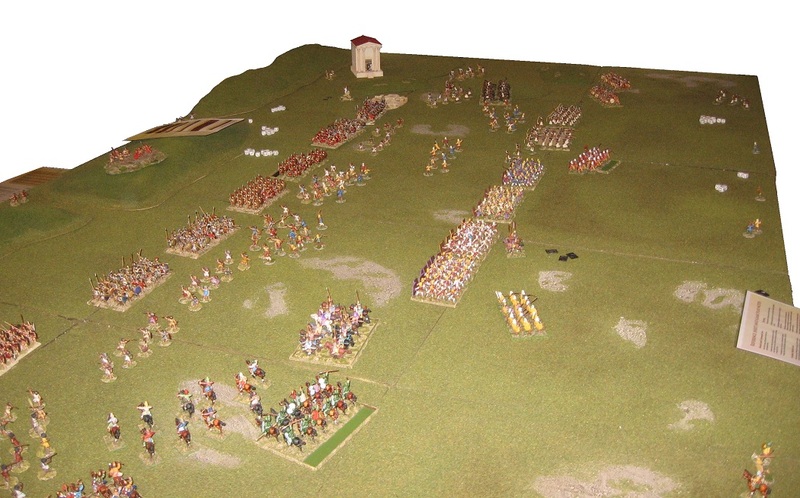 For more on that Naseby refight, see my ECW Battles in Miniature. 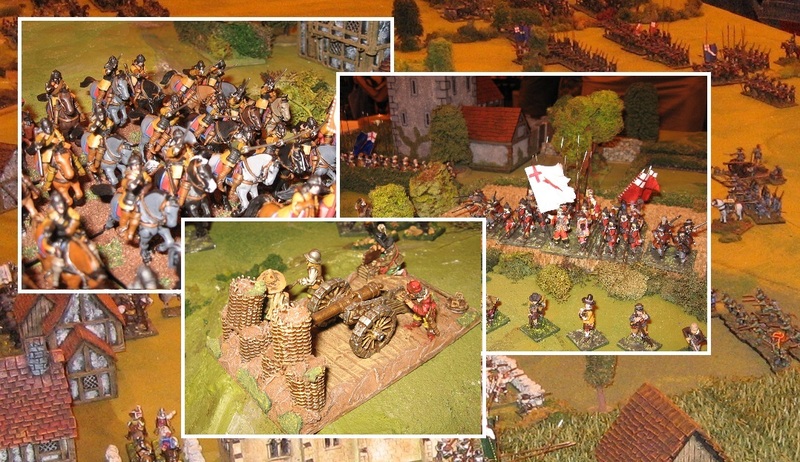 Don't forget to help us out at Campaign. This is Ancients on the Move, and just about all the posts are views of events the Society of Ancients attends. This one is about a show we might not. 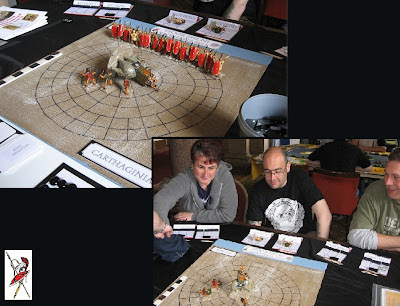 I have been attending MKWS's Campaign for at least 20 years (since back when it used to be a 'Play Off' venue for the old style World Championships in Derby): both Campaign and Derby Worlds have changed a lot over the years! Campaign is a great opportunity to save them. 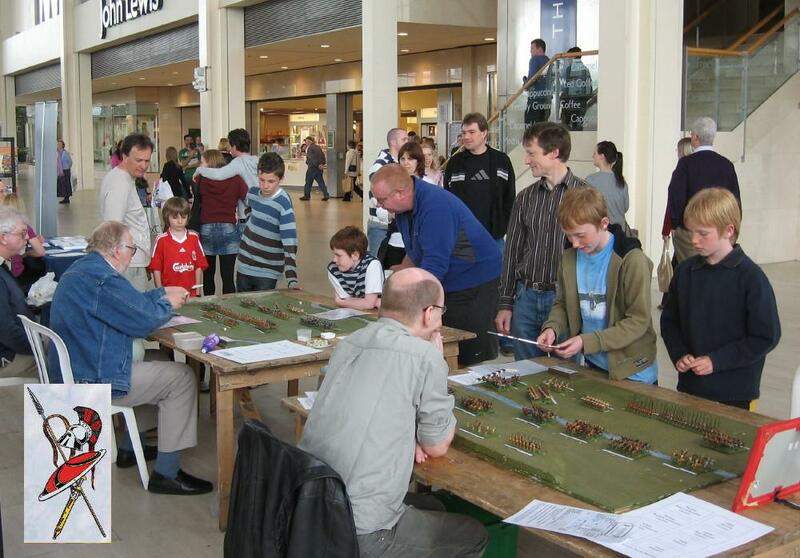 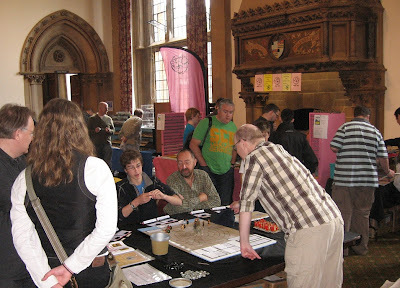 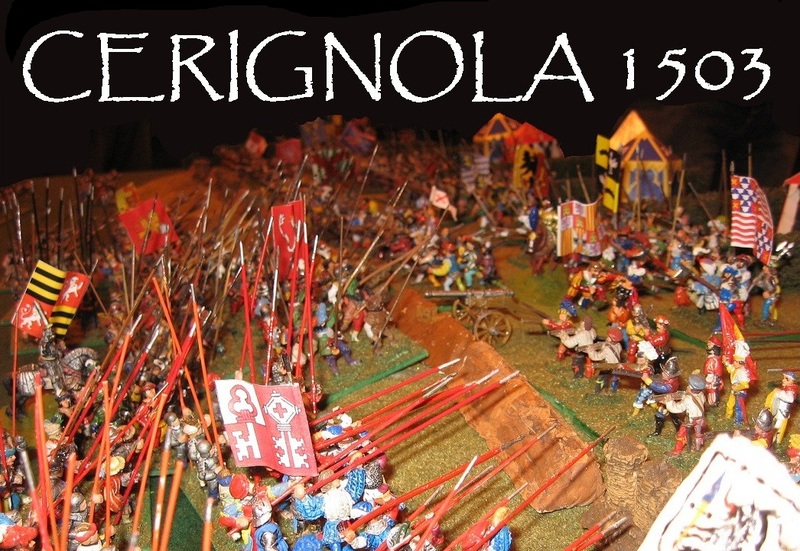 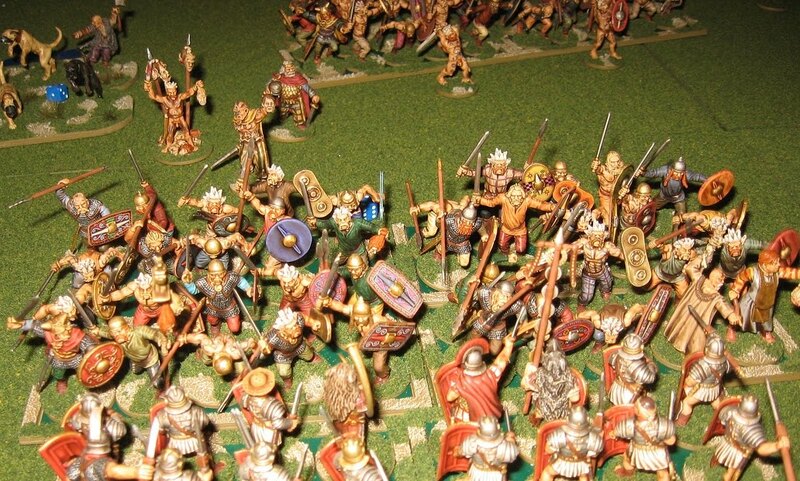 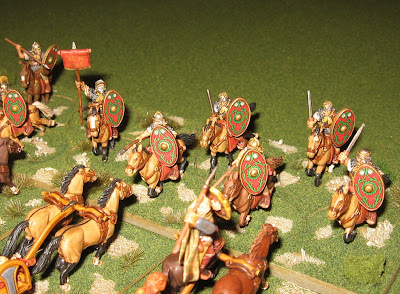 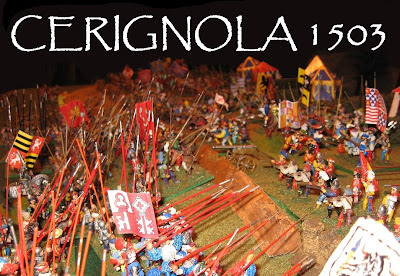 Unfortunately, because of the schedule of other exhibitions in the public space (Middleton Hall) and the Royal Wedding, the event has been moved to a weekend that clashes with the other big Middle England event, WD's Conference of Wargamers (8-10th July, Knuston Hall), and our Shows North team is already committed to that. 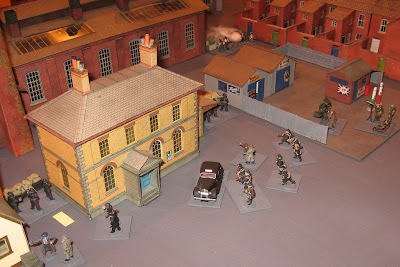 Let me know - I'll sort something out. 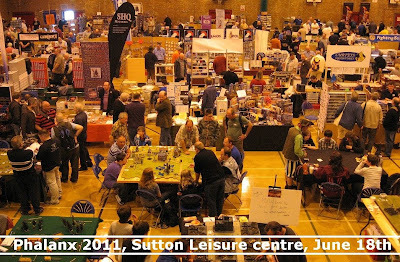 Well, I wasn't very impressed with Salute this year, I was so busy at Triples that I scarcely got time to complete urgent business ... but I enjoyed some camera time at Partizan. 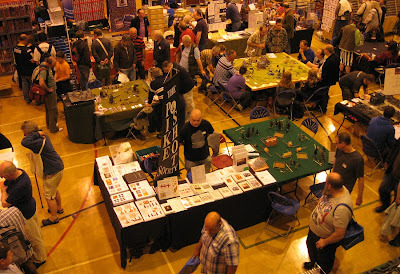 The show seemed a little less busy this year (and down the odd trader and a games table or two*) - perhaps, I understand, due to the proximity to Triples, the week before. That, combined with Graham running The Elephant in the Room as our show game, meant I had time for a longer break in the afternoon and got to see the show. We are giving an extra bit of exposure to Shows North participation games TEITR and Greyhounds in the Slips this year to support the Society publishing cut out versions in A Domino Double Header as the 2011 incentive project - if you missed the early resubscription you can get a copy from the web store (Society of Ancients games) or from the stand at shows ... and at some of the Northern Shows, we will be running it (so you can get a quick start, too). In the pack, you get a double sided A2 play board (one game either side), rules booklet plus all the cards, and fold up playing pieces for those who don't have figures that they would prefer to use instead. 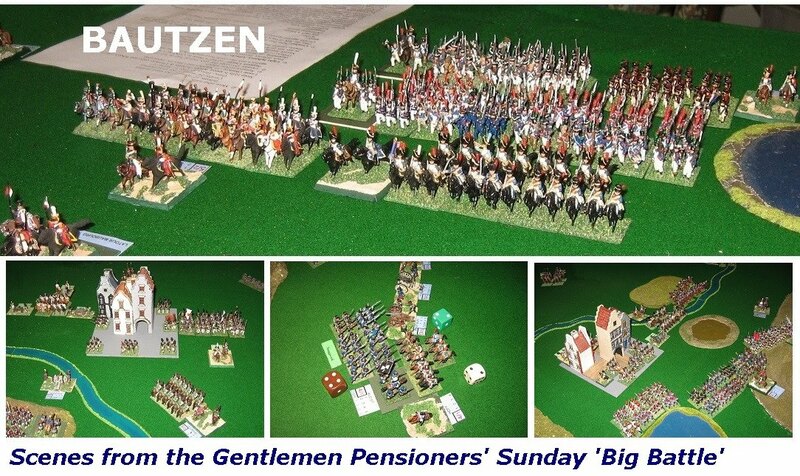 You need to provide 2 to 4 sets of dominoes (preferably in a shuffling bag), and for GitS, a couple of dice. 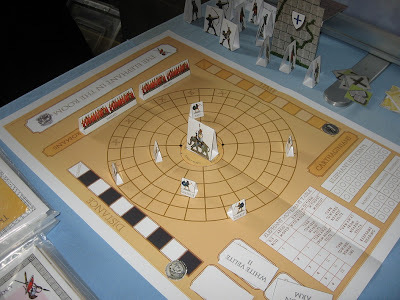 Let the Dominoes Decide - also available - has the basic game plus lots of additional resources for using the Anno Domino combat system in the Roman Arena. 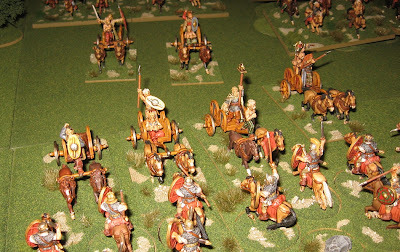 I trust you will indulge some pictures of the game where (one-time psales volunteer) Sarge made a long awaited return to ancients and characteristically tried to do too much too soon (yep that's both his velites lying on their sides). 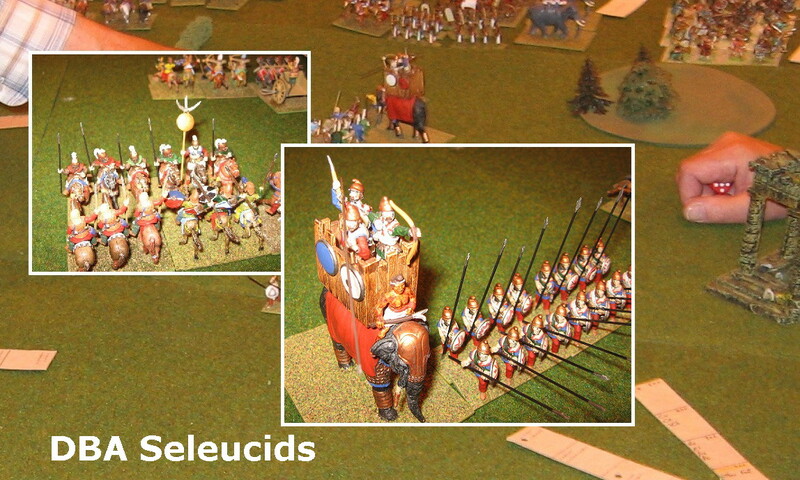 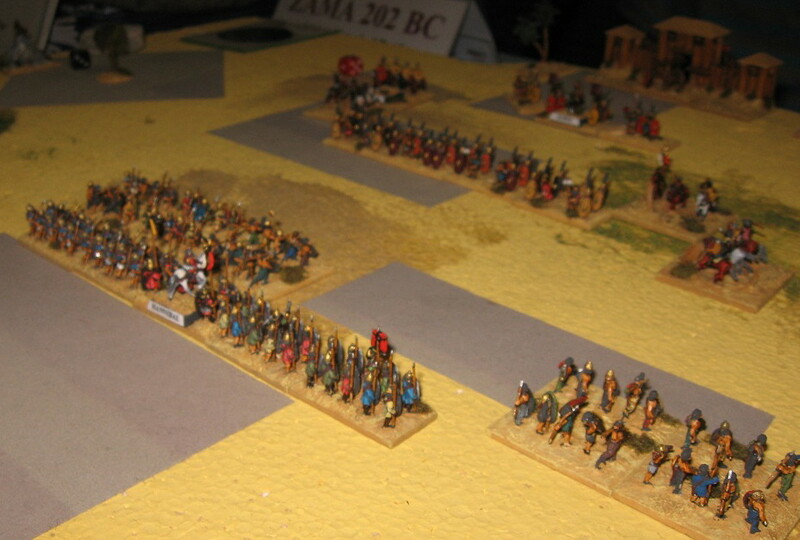 In the end the other two players went on to dispatch the elephant just before it reached the Roman lines. Partizan also offered an opportunity to try (or in my case chat to the authors about ...) some of the new crop of ancients games. Rob Broom was there with War and Conquest (and a version of the Battle of Plataea), Great Escape Games had a try out table for Clash of Empires ... and if that wasn't enough 'new' ancients, Phil Hendry and Richard Clarke were there with a development version of Augustus to Aurelian (watch the news pages ...!). 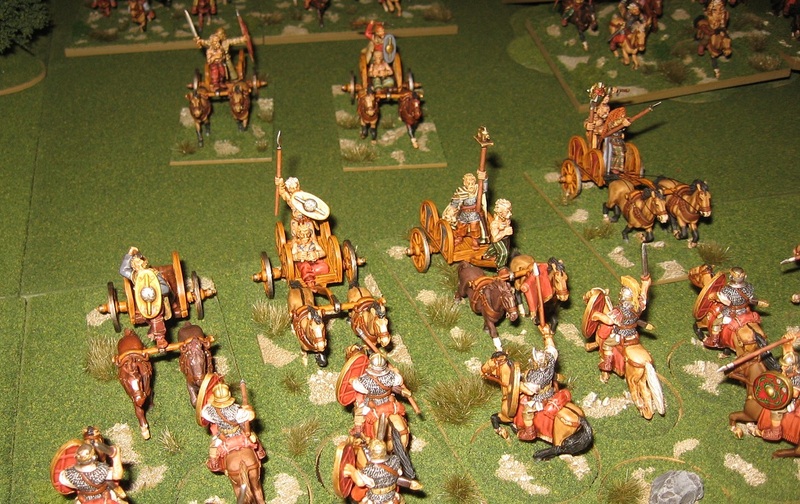 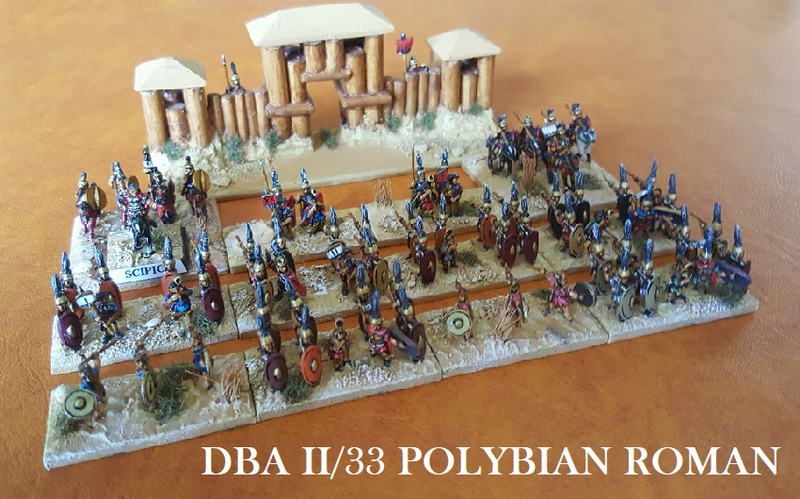 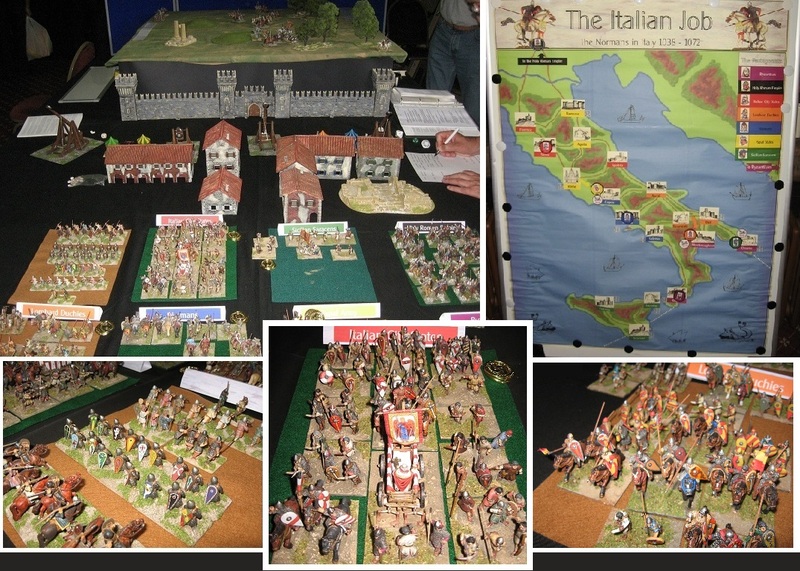 The DBA campaign in a day participation game was also running - in this case in Medieval Italy. 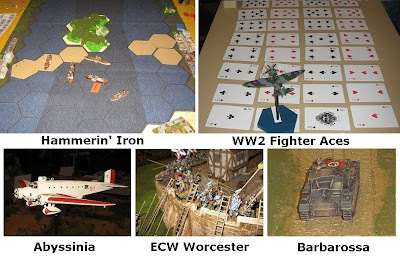 Loads of good stuff in this game, and very well presented. 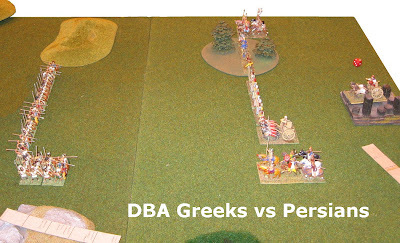 The core, of course, was a day long sequence of DBA participation games. And that was just a quick tour of the more fascinating ancient and medieval offerings: there was much, much, more ... some good ideas, and some nice presentations. 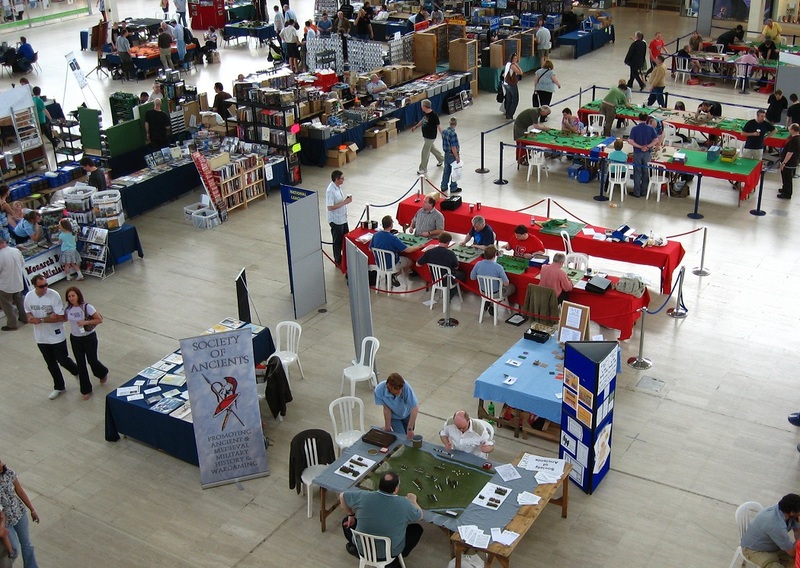 *that said, a number of people complained that there was nowhere to sit down and eat the lunch they had bought from the cafeteria - something the hosts are going to have to sort out: Hammerhead, in the same venue, had a room given over ... Partizan can be almost as bad as Britcon for this.